Northern Ireland have dropped out of the top hundred of the Fifa rankings following the 0-0 result in Malta. Michael O'Neill's side are down four places to 102 in the world rankings after failing to secure an away victory in the friendly on 6 February. The countries which have overtaken Northern Ireland are North Korea, Qatar, Zimbabwe and the United Arab Emirates. The Republic of Ireland move up two places to 39th after beating Poland. England's 2-1 friendly win over Brazil has helped them climb up two places to fourth. Wales are up 13 places to 68th and Scotland move up five places to 64th. Northern Ireland's status is a reflection of their poor results over the past year. 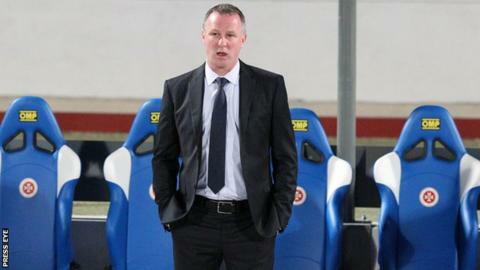 Michael O'Neill is still waiting for his first win as Northern Ireland manager. In his eight games in charge, he has presided over five draws and three defeats since taking over from Nigel Worthington just over a year ago.